While the first is apparently set for retirement and the two others would ultimately merge, it is still valuable to have a good idea of their capabilities and constraints before making the right choice for each implementation. I will later publish the upgrade paths from DirSync to AADConnect. The table hereunder is attempt to compare them as comprehensively as possible. Please note that 95% of credit for this comparison table go to French Directory Service MVP Maxime Rastello. Here is his original French article: DirSync vs Azure AD Sync vs Azure AD Connect : lequel choisir ? Note: I will try to keep this table as up to date as possible at the following location: Office 365: MS Directory Synchronization Tool Comparison. Maxime Rastello’s Blog [French MVP]: DirSync vs Azure AD Sync vs Azure AD Connect : lequel choisir ? Categories: Active Directory, Active Directory Federation Services, Azure, Cloud, Identity Management, Office 365, Tools | Permalink. 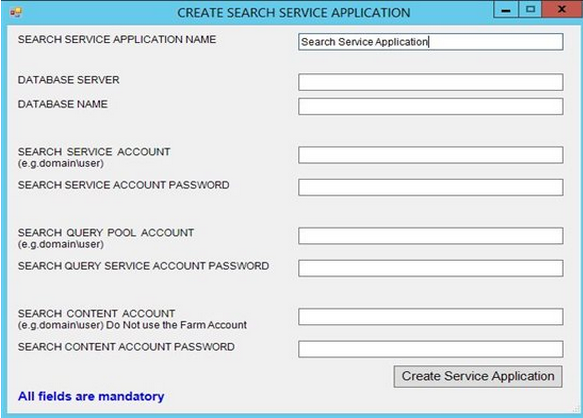 Some time back I posted about Azure Active Directory synchronisation using Forefront Identity Manager (FIM) 2010 R2 and the Azure AD Connector. My focus was multi-forest deployments, but as we know this topology was required for several advanced scenarios too. 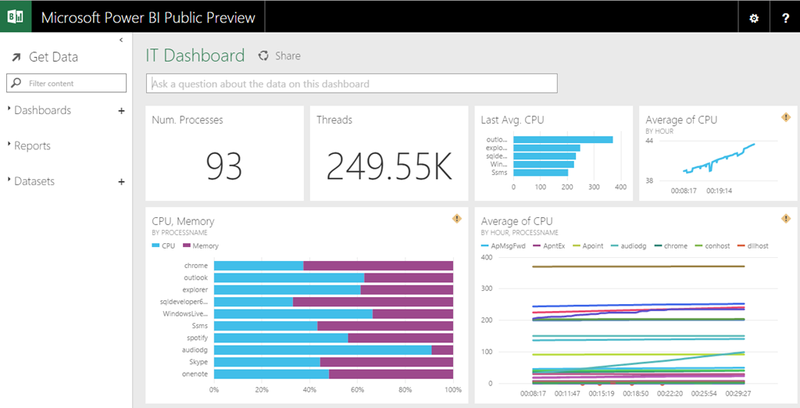 Microsoft have since shipped Azure AD Synchronization Services (AADSync), soon to be rebranded Azure AD Connect (AAD Connect), which negates the need for FIM for most deployments and further solidifies the mentality that the Azure AD identity bridge should be separate from the enterprise identity management solution. 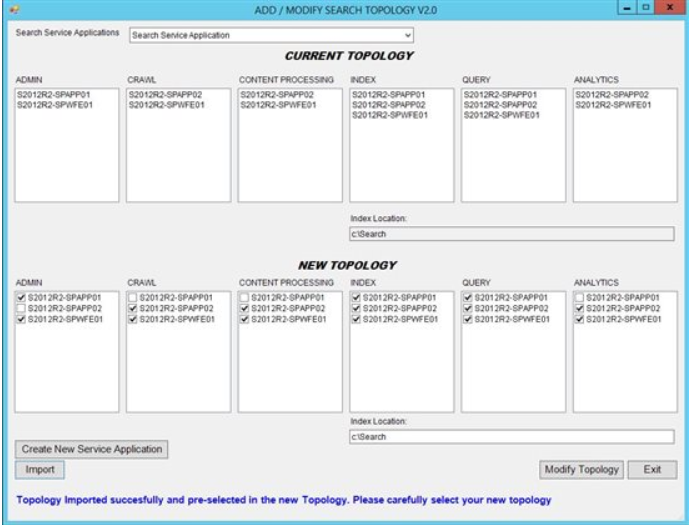 In SharePoint 2013, there is no real user interface to modify the search topology. Well, there is, but you can only use for a single server farm. If you have more servers in your SharePoint farm, you have to do this through PowerShell. One of my South-African Premier Field Engineer colleagues Scott Stewart developed a tool on top of PowerShell WITH UI to create or modify a search topology. It looks like a very promising tool! Have fun with it! After this all the PowerBIPS cmdlets are available for use in the PowerShell console. Having recently dealt with MS Exchange vs. Firewall and flows issues, I thought it might be interesting to post a summary of useful links related to network ports and flows used by Exchange and various clients . Bottom line: Exchange and firewalls ain’t no good friends but you already knew that don’t you? Categories: Architecture, Exchange Server, Firewall, Networking | Permalink. It took quite a while for the dust thrown in the air after SharePoint 2013 App model introduction to fall back on the ground. Now it seems to become clear that apps will never become the replacement for so-called “deprecated” (always use that word cautiously) development models. You will find hereunder a serie of worth-reading well argumented blog posts discussing around this still hot topics. Furuknap’s Corner (Blog): SharePoint 2013 App Model Solves Non-Problems Only? Categories: Architecture, Development, Opinion, SharePoint 2013 | Permalink. Once again, SharePoint Server 2007, 2010 and 2013 are affected by a vulnerability categorized as Critical by MS that can allow remote code execution. The matching Office suite version are affected as well. Important: SharePoint Server 2013 updated with March PU or Service Pack 1 can receive this security update through Windows Update. Categories: Office, Office 2013, Office Web Apps 2010, Office Web Apps 2013, Security, Servicing, SharePoint, SharePoint 2007, SharePoint 2010, SharePoint 2013, Software Updates | Permalink. Categories: Development, OneDrive | Permalink. Categories: Announcements, Office 2013, Servicing, SharePoint, SharePoint 2013, SkyDrive Pro, Software Updates | Permalink.